Home › News › For customers attention! Information regarding the SRI AIT during New Year holidays. For customers attention! Information regarding the SRI AIT during New Year holidays. 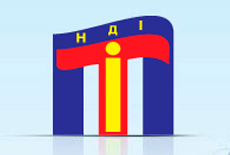 We inform that during the period of 1 to 10 January 2016 the Institute will work without clients. We note that production activities of the Institute will operate in normal mode, therefore previously ordered products will be made without delay and within a prescribed period.